Hey guys! 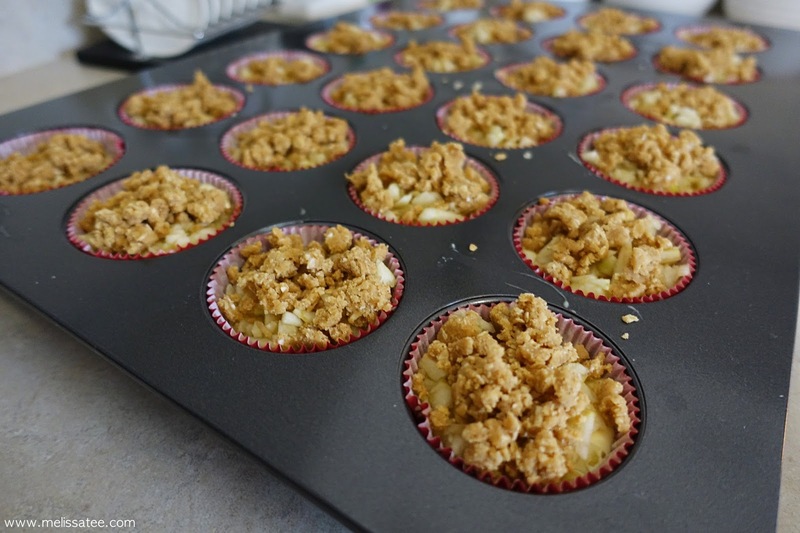 I thought I would try something different today and share this awesome recipe for the best cupcakes I've ever had. I can't take credit for these amazing cupcakes, because I found the recipe on Pinterest, on this blog here. 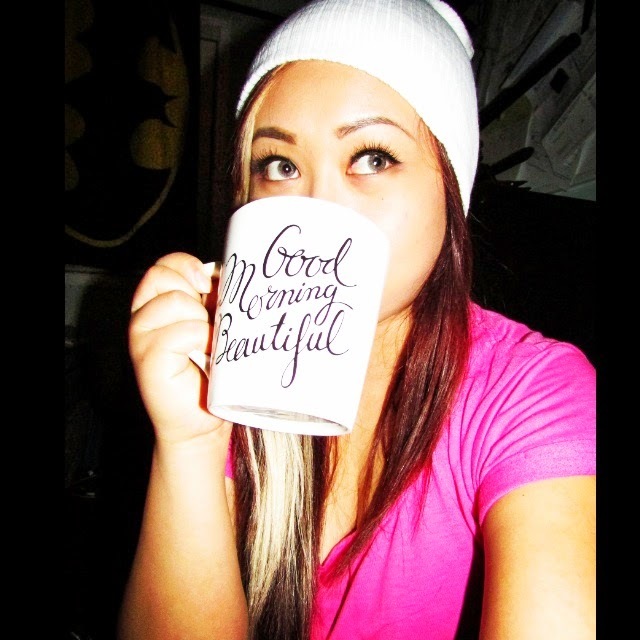 I just looked at the website again and wow my pictures are garbage compared to theirs haha. I just got my camera that day and had no idea how to use it. I made these for my family's Christmas dinner and they were a huge hit. 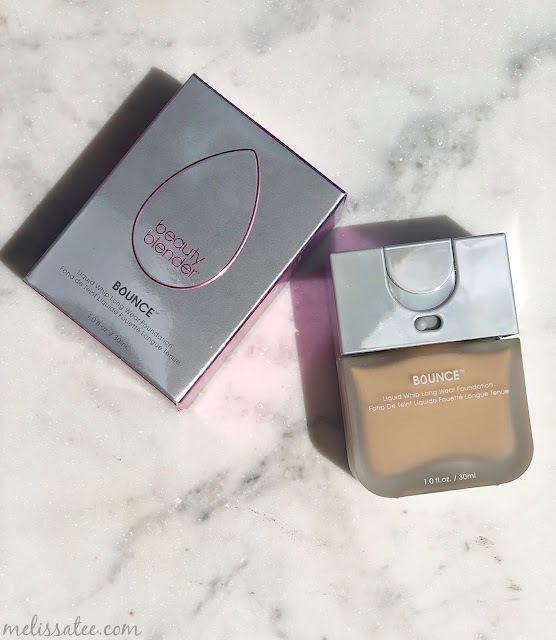 Hope you guys try these out because they're amazing! Enjoy! 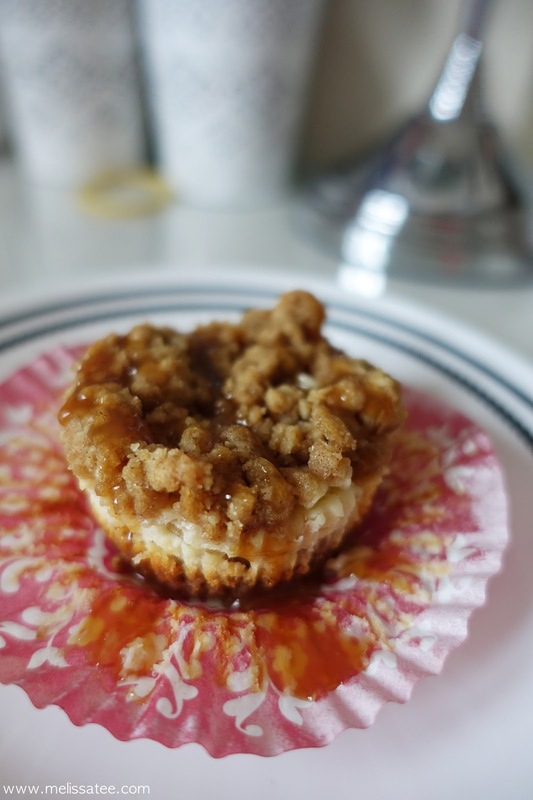 These are caramel apple crumble mini cheesecakes. The perfect mini little personal cheesecake. 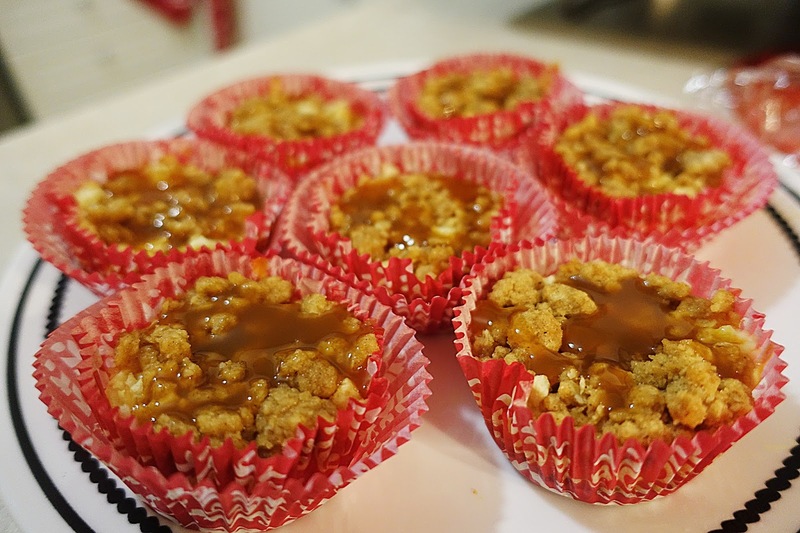 The tart flavour of the apples, with the crunchy crust, sugary streusel and caramel sauce. Absolute perfection. Recipe makes 18-24 cupcakes. I ended up with 24 because I added a little bit more of everything because I was hoping to get more than 18 out of this recipe. Me being bad with math and being lazy, I didn't record how much I really put, I kind of just guessed haha. But below is the exact amounts to get 18! 2 (8 oz) packages of cream cheese, softened!! Start by preheating your oven to 325 degrees. 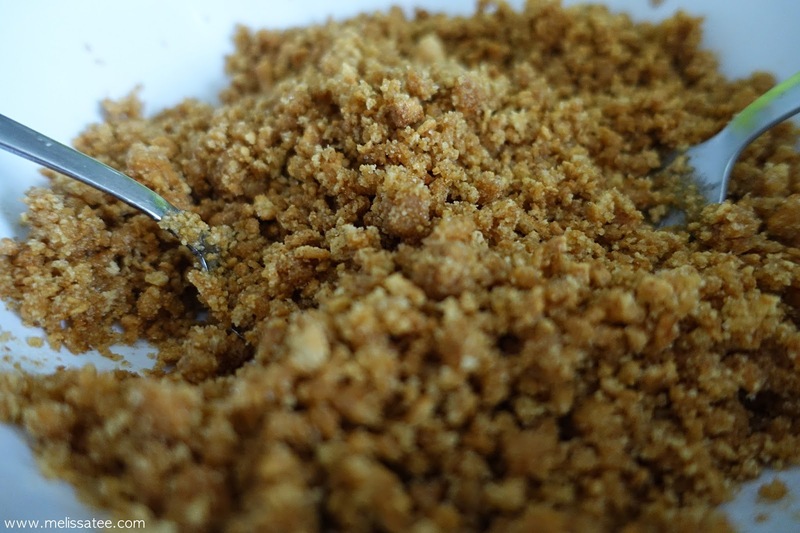 Crush your graham cracker crumbs. I ended up doing this by breaking them in my hands, and then smashing them on the table with the bottom of a cup between two sheets of paper towel. Unbelievably messy. I didn't have any ziploc bags and my brain wasn't smart enough to think of a better idea haha. Mix the crumbs, sugar and cinnamon together. Melt your butter and pour it in. Mix everything with a fork until it's all moist. Let me just tell ya, this stuff smells AMAZING. 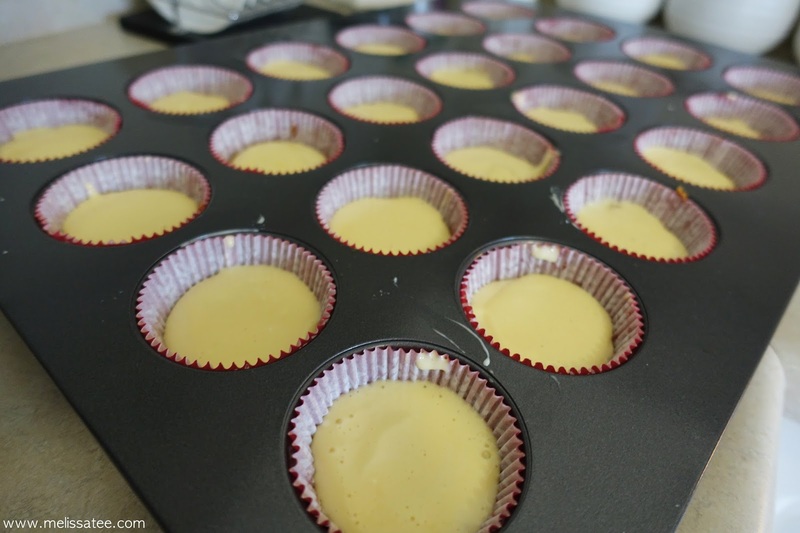 Anyways, you then divide your mixture into your cupcake liners and press it down into an even layer. 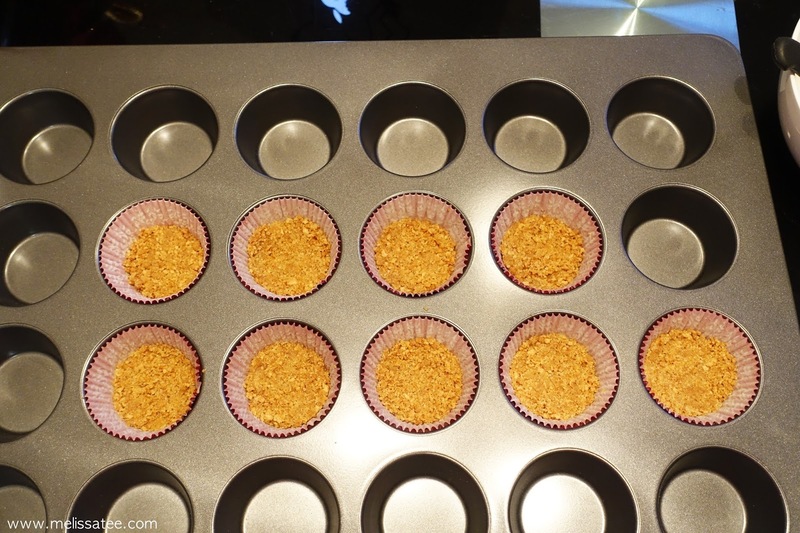 Bake them in your preheated over for 5 minutes, remove it and let them cool. 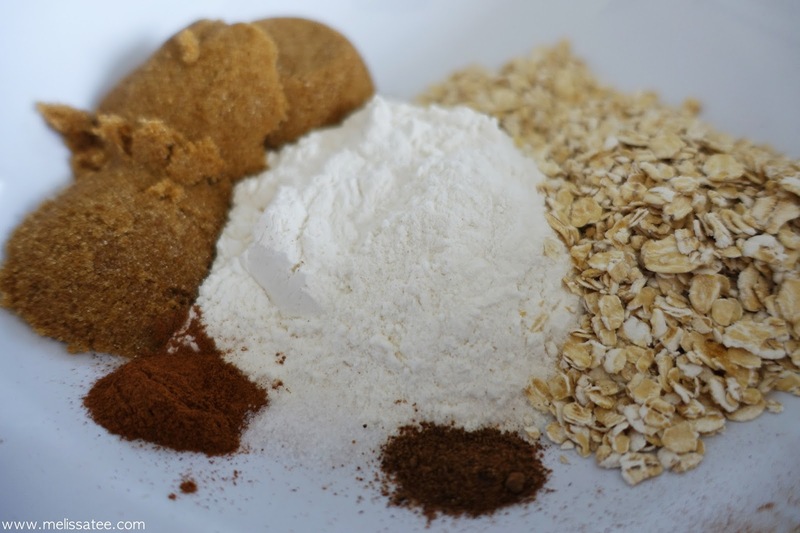 In a mixing bowl, whisk together flour, quick oats, brown sugar, cinnamon, nutmeg and salt. Cut your butter sticks into small pieces. Add cold butter and using fingertips, rub the butter into the mixture and use your hands to mush everything all together until all the butter is non-visible. Your topping mixture should become a clumpy kind of texture. Cover the bowl and put it in the fridge while you work on everything else. I think you were suppose to peel your apples, so that's what I did. 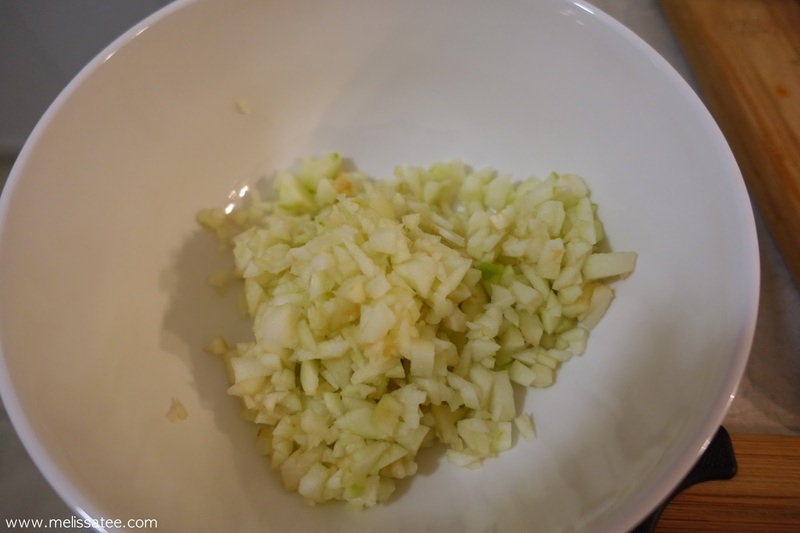 You then chop them up pretty small and cover them in lemon juice, mix, and put it aside. 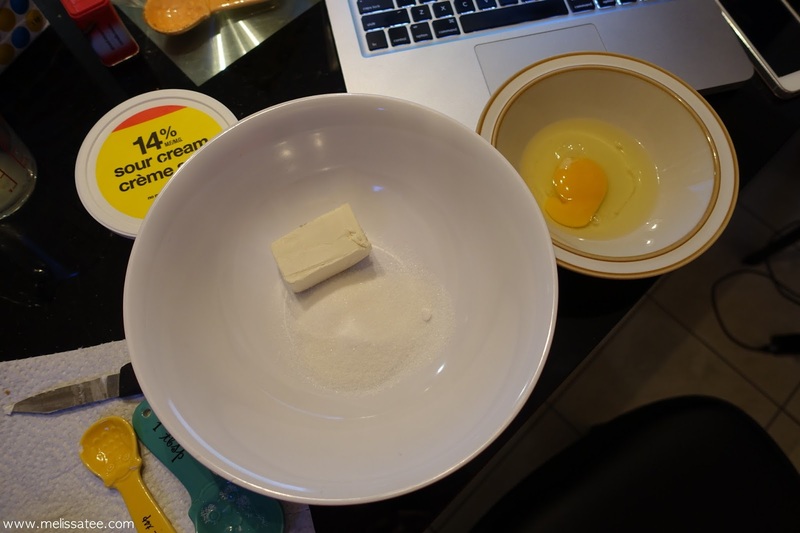 In another mixing bowl, mix together the cream cheese and sugar. I found it hard to mix the cream cheese when it was still cold. I had no idea I was suppose to wait for it to get warmer because I made a huge mess. This is the part where your hand mixer comes in. I don't know how I've been baking without one all my life! 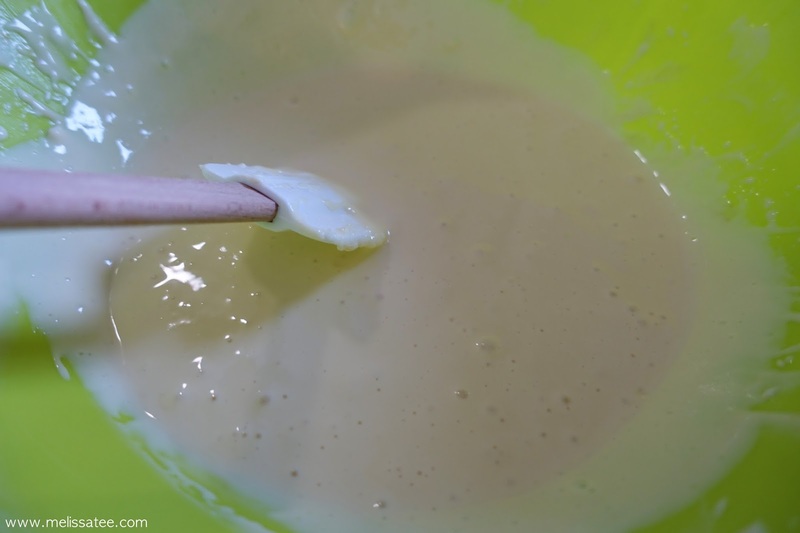 Once it's smooth, add in one egg at a time and continue mixing it. Then you add in the sour cream and vanilla extract and mix again. 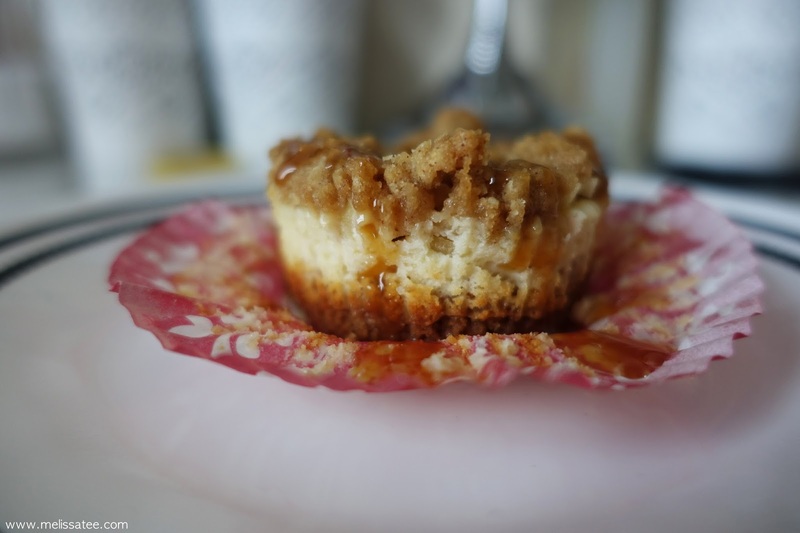 Now you're going to put the cheesecake batter into the cupcake liners with your crust. Fill it a little more than half way with the batter. Then you add the apple pieces, and the crumble on top. 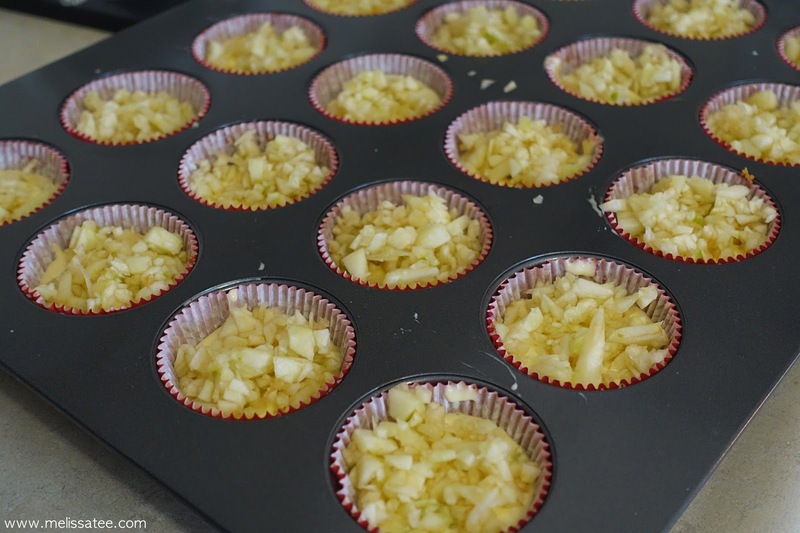 Bake in your preheated oven for about 23 - 25 minutes. Once you see that it looks set and cooked to perfection, leave it out for 30 minutes and then put it in the fridge to cool for about 3 hours. 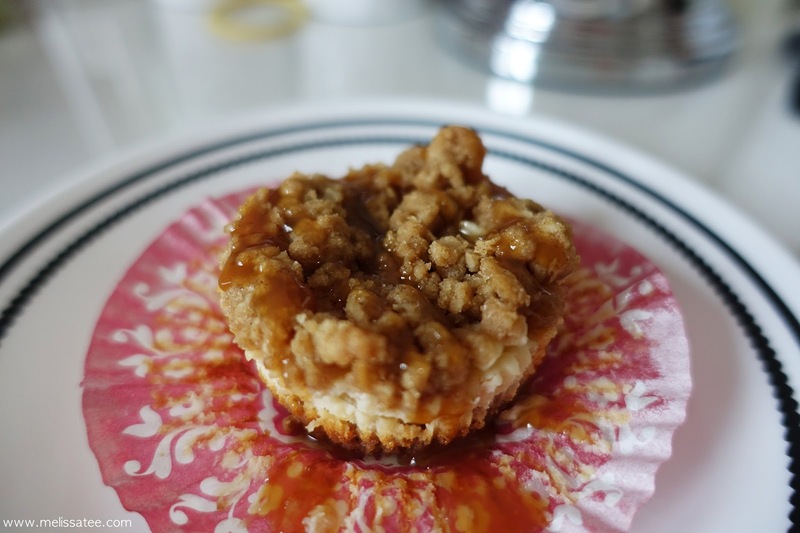 Once it's gotten time to chill, remove from the fridge and serve with the caramel sauce of your choice. 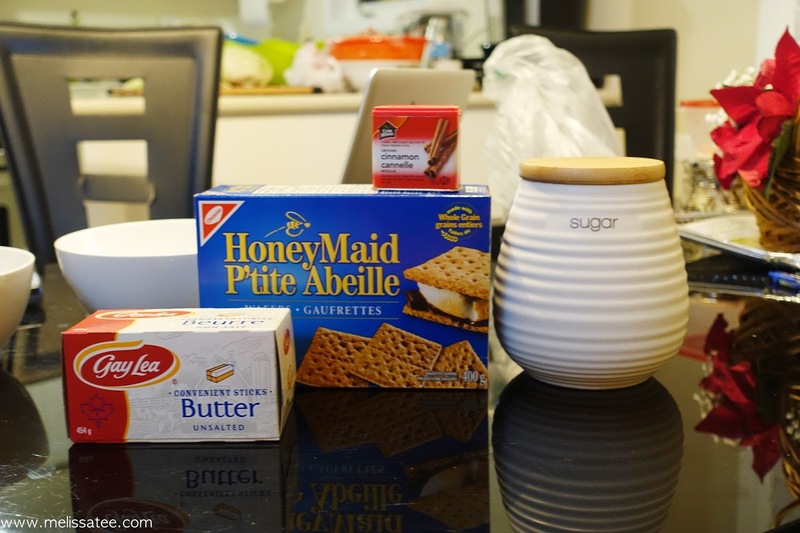 A few main ingredients: graham crackers, sugar, unsalted butter, cinnamon. I made a sample batch Christmas eve because I had no idea what to expect when baking these. Turned out amazing. 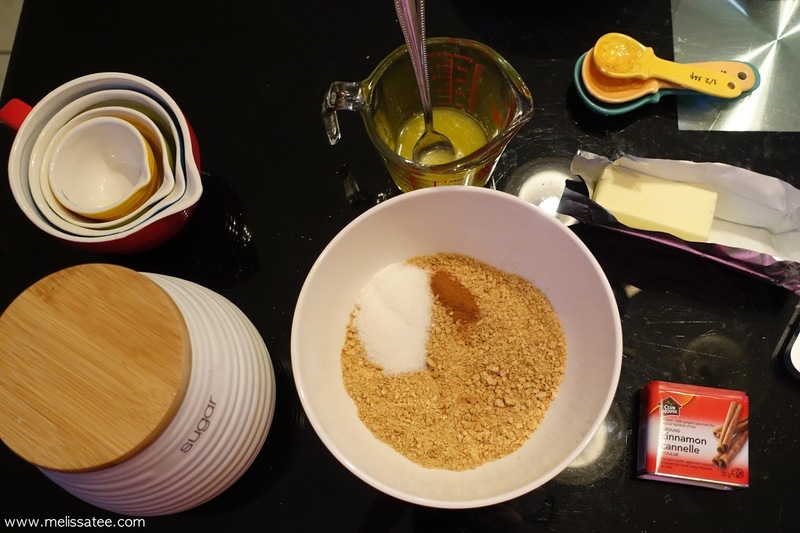 Ingredients for the streusel topping. Rolled oats, flour, cinnamon, nutmeg, salt, and brown sugar. 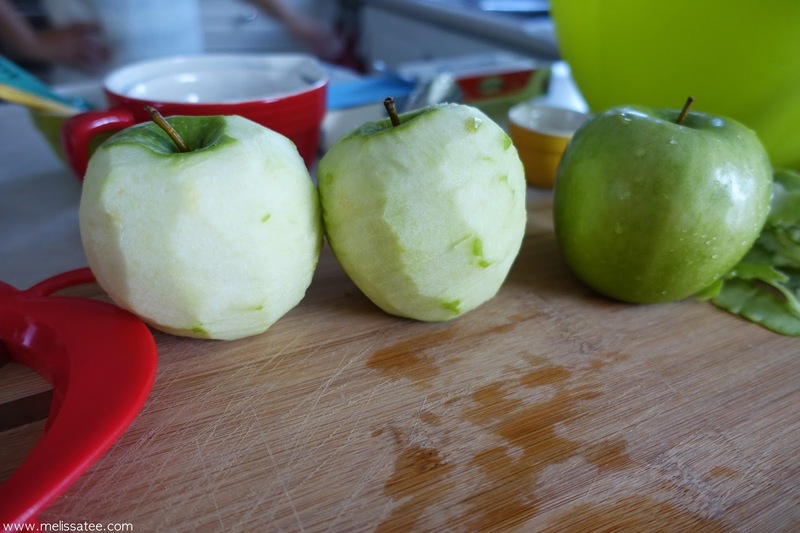 Peeling some granny smith apples. I overestimated how many apples I would need. Had too much left over in the end considering these apples were pretty big. I wish I used my old camera to take these photos because I hate how blurry the shots are. Shouldn't have used a new camera to try to photograph these ! Absolutely amazing. I love that it isn't a super cheesy cheesecake, and it was not too sweet at all. The perfect balance of flavours. If I were to recommend one awesome baking recipe, it would be this one. It wasn't too difficult to make and it'll be worth your time. This is one recipe I will use in the future and forever! I'm a huge cheesecake fan and I'm glad that everyone that tried this enjoyed it. If you want the recipe, head over to Cooking Classy blog here. I said that too! 3 awesome things combined together. simply amazing! Yes you definitely should try this!